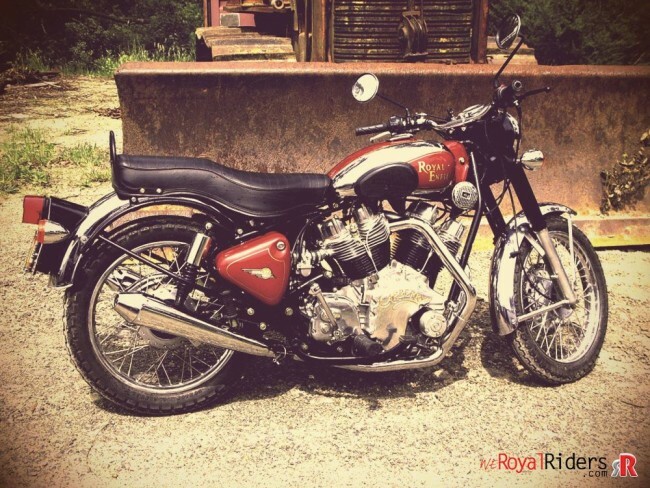 If you have been ever in love with Royal Enfield then you already knows about various V-Twin effort made by enthusiast around the globe to make their Royal Enfield more interesting. One among them was Carberry Enfield which may get commercial production in India very soon. Carberry V-twin in Royal Enfield Motorcycle. 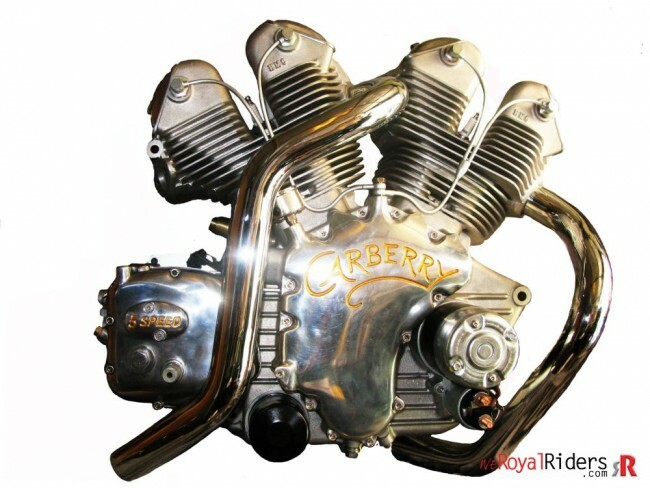 The Carberry Enfield Double Barrel V-Twin was brainchild of Paul Carberry from Australia from a time when Royal Enfield UCE engine were little known thing. 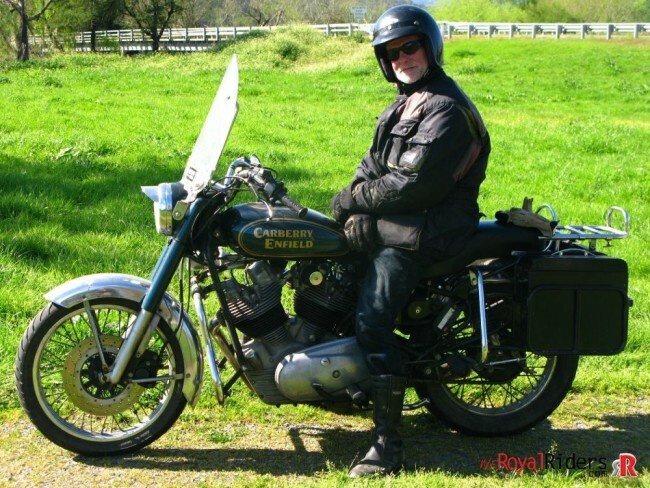 As per available information , Paul Carberry found love in Royal Enfield when he moved to Indonesia to set up import and distribute Royal Enfield motorcycles business. 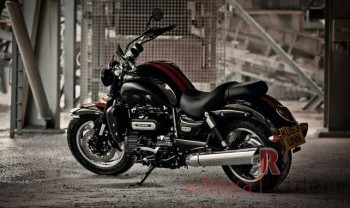 Prior to that he owned a Triumph repair workshop for about 10 years. 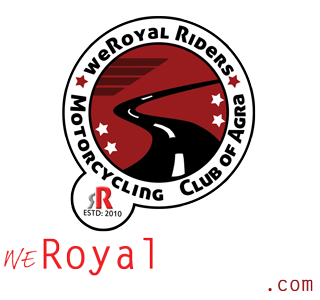 Now we have more refined UCE engine available for choice as well as a new improved engine platform from RE is also about to get launched with “Himalayan”, but it was not the case when Paul Carberry first got their hand dirty with V-Twin Royal Enfield based engines. Ofcourse there was AVL engine but it never gained popularity like old Cast Iron (CI) engine. 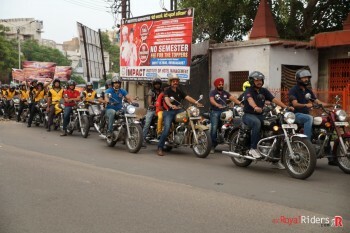 Like today, at that time too people were craving for V-Twin variant for Royal Enfield motorcycles. Paul Carberry, with his companion Ian Drysdale however actually decided to make one for themselves. They then developed their first prototype taking two Royal Engine together and using original RE parts as much as possible. The engine then built was an overhead-valve 55 degree, V-twin 1000cc, dry sump four stroke motor, with pushrod operation of the two valves per cylinder with a 60% balance factor, achieved by heavy metal weights plugged into the crank flywheels. The crankcase was designed to use a pair Enfield 500 cast iron cylinders surmounted by complete cylinder head assemblies with all originals. They extensively tested it and was appraised all over, interestingly even once Royal Enfield was in talk with Carberry to take over however nothing fruitful ever happened. 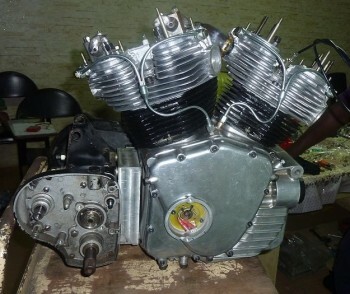 Early Prototype V-Twin Carberry Double Barrel Engine for Royal Enfield Bike. 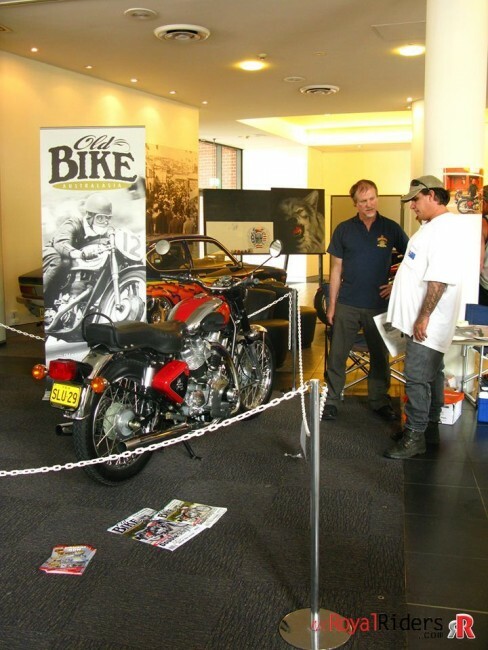 They kept working on engine and were also able to sold few units but due to very high cost, in about 2012 they had to shut down their RE based V-Twin operation but apparently Paul never gave up and he continued refining it. Below you can see 14th iterations of the engine. As per tip from overdrive magazine, Paul Carberry has relocated to India as he found Jaspreet Singh Bhatia, an Indian investor to revive this project. This is very early to say anything concrete, they are still in process to find quality manufacturer for its component India. From January 2016, they have some updates also available on their Facebook page about their operations in India. 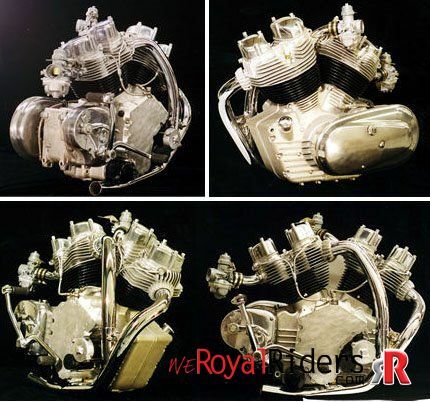 Hopefully in coming few months, we will see made in India Carberry Double Barren V-Twin engine for Royal Enfield in production and should be up for sale very soon after it. One interesting thing is to note that about a year back, “Norcroft V-Twin” also moved to similar venture with Indian partners. We were in touch with them for a while and last time heard from them when they were also process to find quality manufacturer of components for their engine. Oddly, still they are not able to commence commercial production. 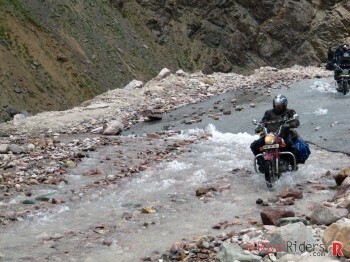 Moreover, the Royal Enfield biking scene has changed a lot already. Though CI has still good number of takers, new modern UCE engine platform is equally approved by RE riders for its reliability and efficiency. It may not be that exciting to use now defunct Royal Enfield platform but on the other hand, if Carberry can start operation in India then they will have advantage of lower cost of production and other benefit including huge Royal Enfield market.